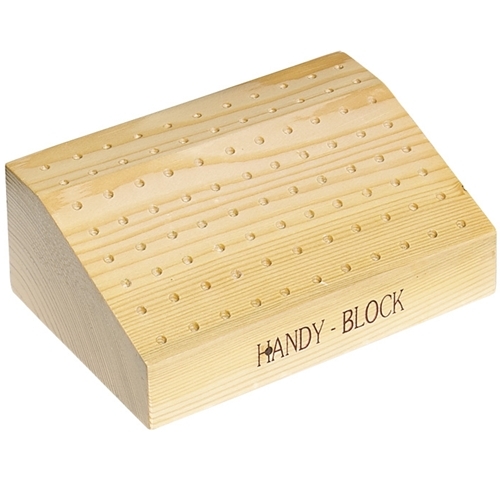 An 88-hole block of cured hardwood for organizing burs, needle files, brushes, etc. Each hole is 1/8" in diameter to accommodate either 1/8" or 3/32" shanks. Block is slanted so that user can see all tools at a glance. Backed with a stay-put rubber pad to keep block from sliding. Measures 4-1/2" x 6". Weighs 1 lb., 2 oz.